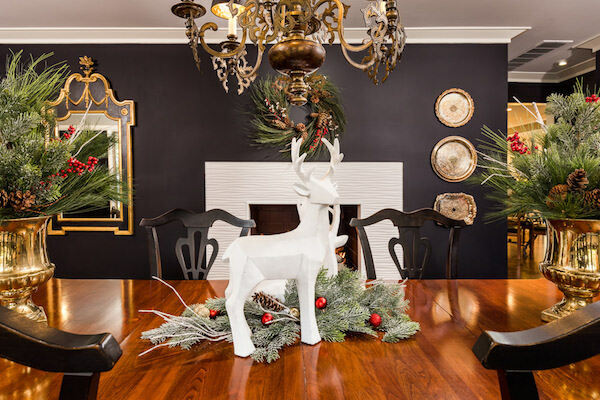 SEEN visited the bright and merry Troy home of Rita O’Brien, founder and owner of Rita O’Brien Design Group, to see how she decorates for the holidays. 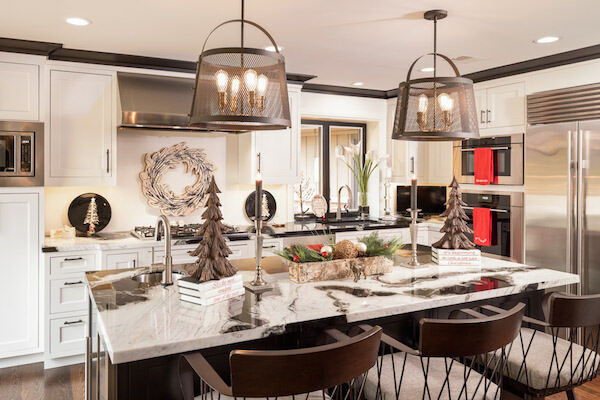 Formerly a real estate agent, O’Brien started in interior design 11 years ago and now operates Rita O’Brien Design Center in the Michigan Design Center in Troy. 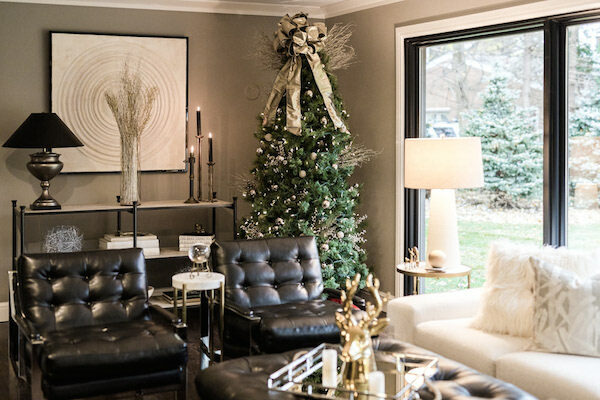 O’Brien shared a few of her favorite decorating tips for the season. 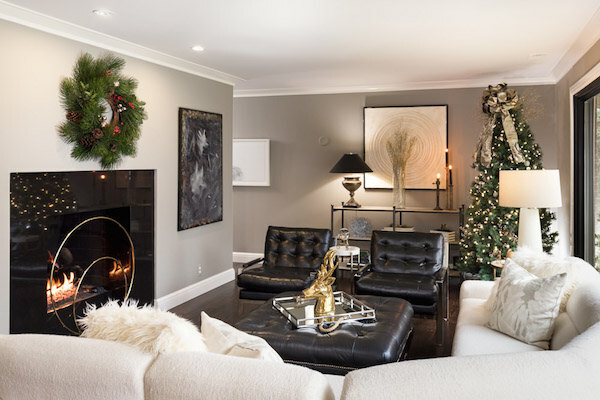 “Black is a great accent color for me, so I keep it in the decor too. There’s a black candle, instead of a white candle,” she says. 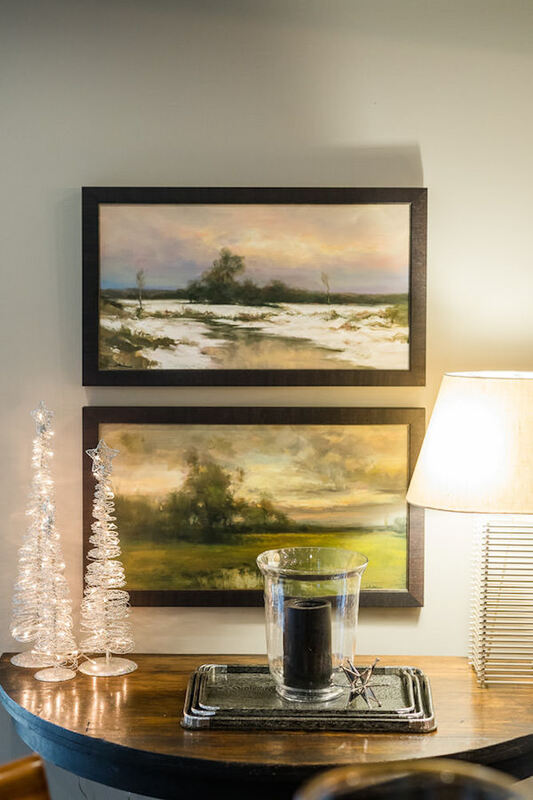 She also recommends moving framed pieces and artwork to evoke a different feeling around the holidays. “I like neutral colors with kicks of (bold) color,” O’Brien says. 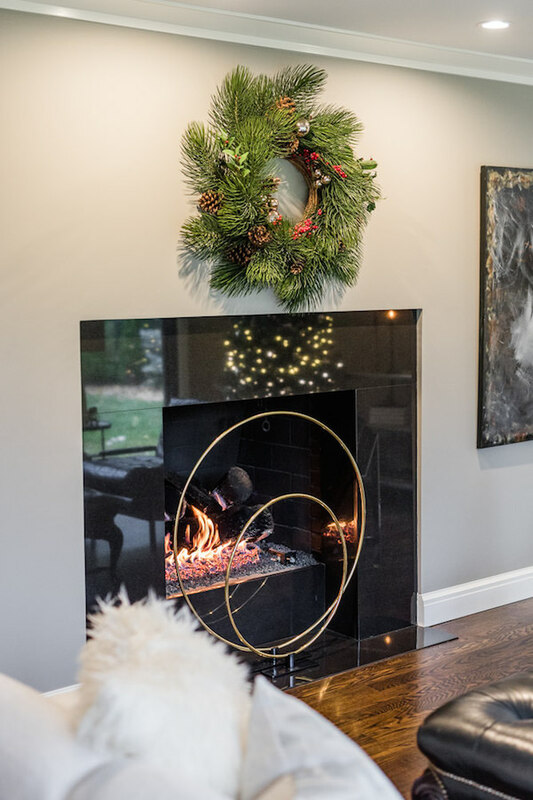 Rita O’Brien enjoys going to fleurdetroit for decor like the wreath over the stove. O’Brien says she tends to use artificial plants but likes to add a few fresh greens within the vases. “I always use good artificial and then I mix fresh greens with them to give the house the smell,” she says. 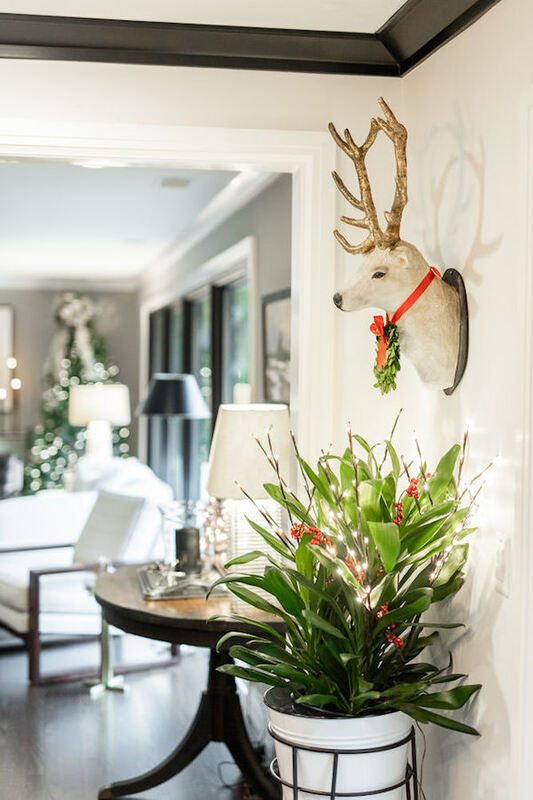 “…You want to add fresh greens because then you have dimension too.” She recommends fleurdetroit in Bloomfield Hills and Detroit Garden Works in Sylvan Lake for holiday florals. O’Brien explains she uses the “power of 3’s.” Meaning, she’ll feature three items in an area or decorate in threes. For example, her Christmas tree features three pieces of ribbon hanging down from the top. 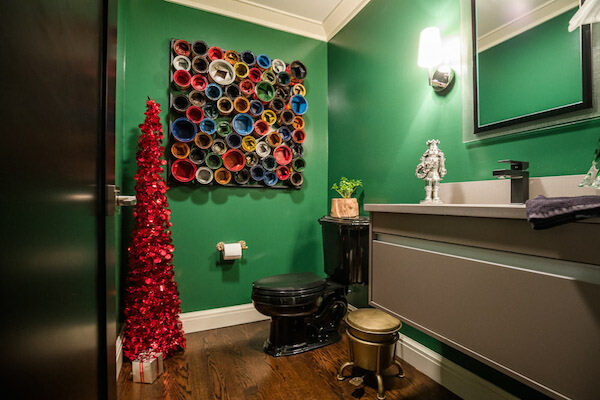 The “power of 3’s” rule can also be found on her bathroom counter — she likes to use three decorations to give a look with dimension. 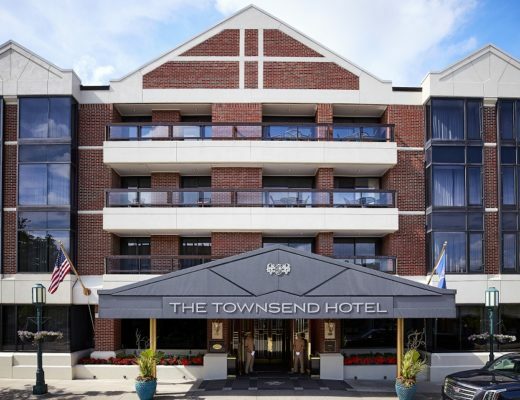 “It creates dimension and pulls the thought together — either a color scheme or a design element — so that it makes a statement,” she says. 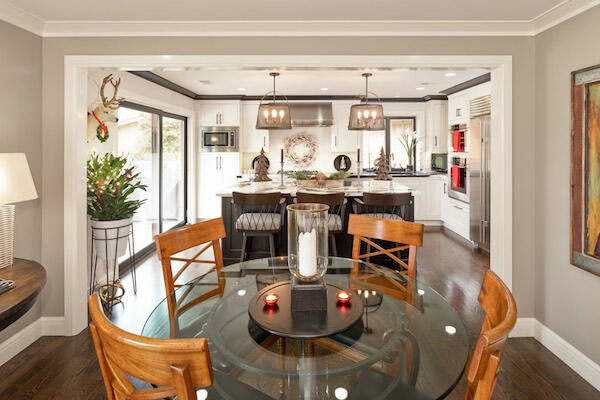 O’Brien says her favorite part about interior design is the freedom be creative and make a difference in someone’s home. 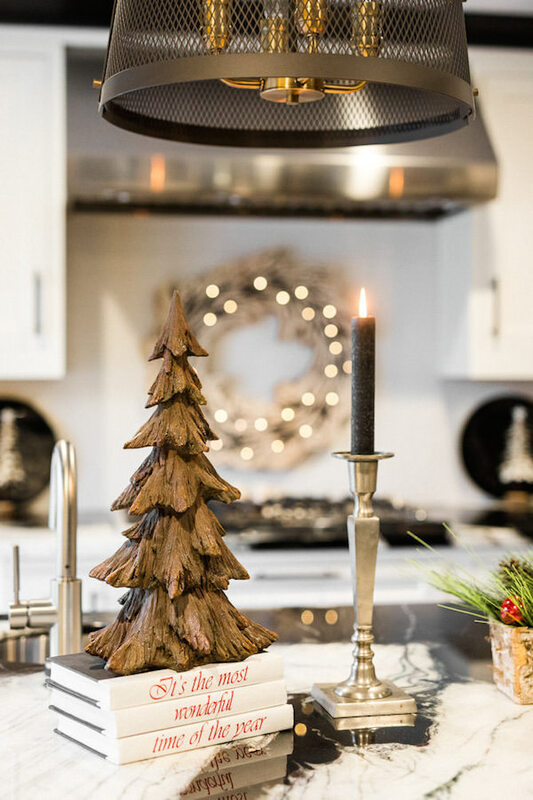 Don’t be afraid to put your own spin on your home this season, and then invite loved ones over to enjoy! 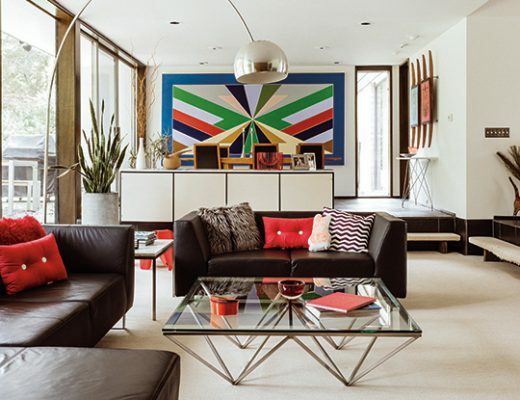 Take a 3D tour of Rita O’Brien’s home here. 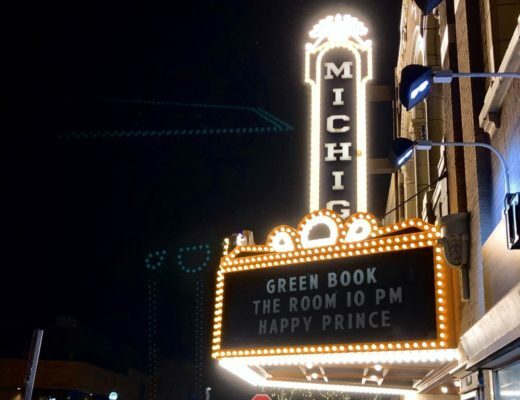 we love your style and ideas ! your house looks great for Christmas ! you are the designer of the year without a doubt !